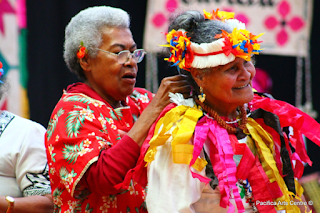 This week marks Vaiaso o te Gana Tuvalu, or Tuvalu Language Week, for 2015. This year’s theme is "Tau gana ko tou iloga/ Language is your identity”. This provides an excellent opportunity to focus on some images relating to Tuvalu in our heritage collections from Local History Online. Ref: Pacifica Arts Centre, Tuvalu traditional dance performance, 14 November 2013, West Auckland Research Centre, Auckland Libraries, PAC-PLAF-2013-D-096. 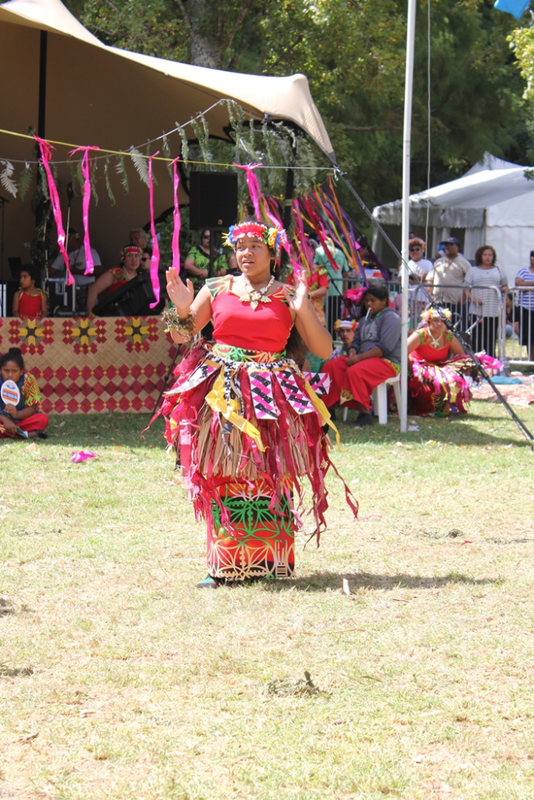 The Ministry of Pacific Island Affairs has compiled a list of events for the week and ask that you follow their Facebook page for updates during the week. Ref: Pacifica Arts Centre, Mama Teuke at the Pacifica Living Arts Festival, 1 November 2005, West Auckland Research Centre, Auckland Libraries, PAC-PLAF-2005-D-002. An important direction that Auckland Libraries is moving in is to broaden our heritage collections so that they better reflect our communities. One large part of our population who are underrepresented in our heritage collections are our Pacifica residents of Auckland. Thus a priority for us is to work with Pacific communities to rectify this, now and in the future. Ref: Pacifica Arts Centre, Mama Seni Loli and Mama Teuke at the Pacifica Living Arts Festival, 14 November 2013, West Auckland Research Centre, Auckland Libraries, PAC-PLAF-2013-D-070. 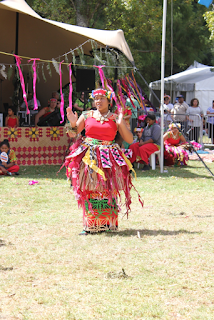 So we are focussing our collecting strategies on Pacific Communities and one way we’re doing this is by documenting Pacific festivals in Auckland. The West Auckland Research Centre has developed close working relationships with the organisers of two of the major Pasifika festivals in Auckland. The Pacifica Living Arts Trust have donated their photographic archives to the library and have been part of an Oral History project. Ref: Pacifica Arts Centre, Traditional Tuvalu woven mats, 11 November 2014, West Auckland Research Centre, Auckland Libraries, PAC-PLAF-2014-D-278. 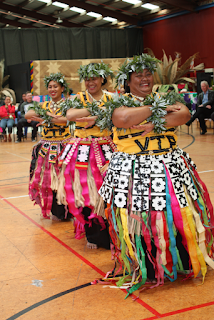 The Polyfest Trust archives have recently been donated and will be housed at the South Auckland Research Centre. The Polyfest Turst archives include audio-visual materials from their festivals as well as ephemera. 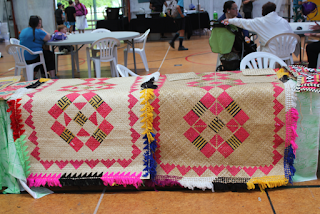 Ref: Auckland Council, Tuvalu dance performance, 14 March 2015, West Auckland Research Centre, Auckland Libraries, PASF-D-2015-134. 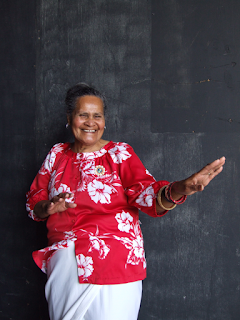 The New Zealand ephemera collection at Sir George Grey Special Collections has programmes from the Pasifika Festival from almost every year since its inception in 1992 as well as posters, flyers and maps from the festivals. Ref: Pacifica Arts Centre, Mama Teuke at the Pacifica Living Arts Festival, 14 November 2013, West Auckland Research Centre, Auckland Libraries, PAC-PLAF-2013-D-037. We're not the only institution in Aotearoa New Zealand with a gap in our collections in this area, as you can see over half of the images of ‘Tuvalu’ indexed by DigitalNZ are from Auckland Libraries' collections. Ref: excerpt from DigitalNZ website, 23 September 2015. 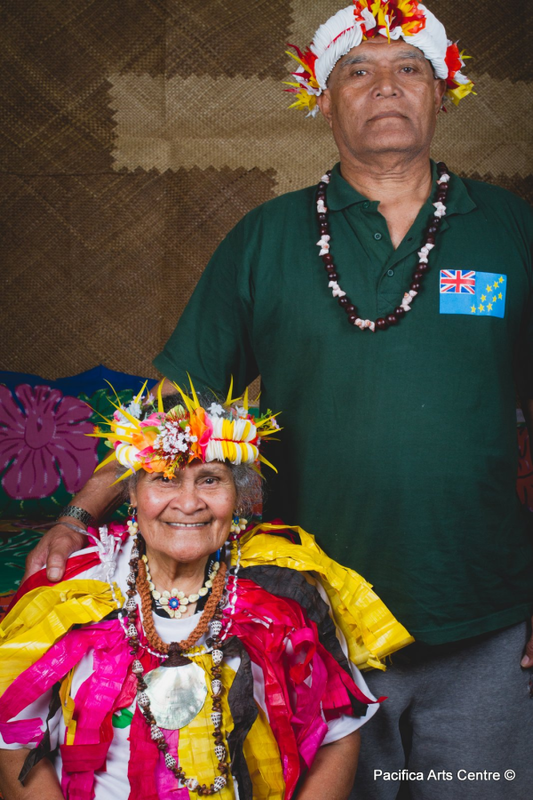 A wonderful resource for researchers on Tuvalu are the Western Pacific Archives, held at Special Collections in the University of Auckland Library. There is a post on the National Library’s blog for last year’s Tuvalu Language Week which provided great background information including the fact that Tuvalu is the fourth smallest country in the world in terms of area. There are some great contemporary photographs from Tuvalu on the Ministry of Foreign Affairs and Trade’s photograph website.